Yes, it’s always an exciting time of year when the Stampin’ Up! Holiday Catalog is released. And, today is the day many of us have been waiting for. I know there is so much to see so let’s get right to it. Below is the new Holiday Catalog. You can download it from there. You can also flip through the pages and see all the new stamp sets, paper, and accessories. While taking it all in, look at the various suites and kits this catalog showcases. This is going to make it so easy to create tags and package labels. It goes without saying that this is a hit. Another wonderful kit that will probably get a lot of use this season. I could probably be here all day listing everything I liked even more than the next item. Let’s just say it’s all wonderful. Every item is better than the next. I’m really enjoying just looking through the pages every day. But there will be lots of inspiration and creativity going around. What? Did I just read that correctly? Yes, I will be sharing some awesome projects starting in October leading up to Christmas featuring many of the products in the Holiday and Annual Catalogs. Find inspiration and get ready for an awesome newsletter. BUT… I’m not subscribed to your newsletter! Oh no! You are not one of my newsletter subscribers? The ONLY way you’ll see these wonderful projects is if you sign up for my newsletter. I really would hate to have you miss out on all the amazing projects and inspiration coming your way. Make sure to sign up for my newsletter and be a part of my 12 Weeks of Christmas campaign. This is a special newsletter series from October through December that will showcase 12 weeks of holiday goodness making it a more exciting time of year. Again, you must be a subscriber to my newsletter to get all the projects and directions. To subscribe to my newsletter, go to the upper right column and fill in the information, hit enter, then you’ll be set. 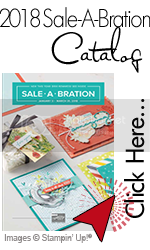 Still need a Holiday Catalog? Furthermore, if you did not receive a catalog in the mail and would like one, please contact me to arrange to get a catalog sent to you. You can also visit my online store to see all the new products. I guess I don’t understand? I get mail from you but, I’m NOT getting the 12 weeks of Christmas? Am I in the wrong place? Am I on the wrong page? Help a fellow demonstrator out and tell me how I get your 12 Weeks of Christmas? Thank you so much for sharing! Hi Gloria, I know the email went out yesterday morning at 8 AM. Not certain why you didn’t receive it other than potentially it was marked as spam. Make certain you’ve added [email protected] to your contacts and approved list. I can try sending it to you again.